Home / Blog / Does Your Website Need A Content Management System? Content Management System (or CMS in short) is an application that empowers website owners to easily update contents on their own website. If you are a business owner looking to build a website, you might be wondering if your website can benefit from installing a CMS. Your business keeps improving over time. Your business needs to frequently feature new promotions, products, or updates. It takes you a long and difficult process to ask your website designer / IT department to update simple things on your website. As their business grows, more and more website owners have decided to integrate their website with content management system. The reason is because having a CMS makes it much easier for them to update their website regularly. 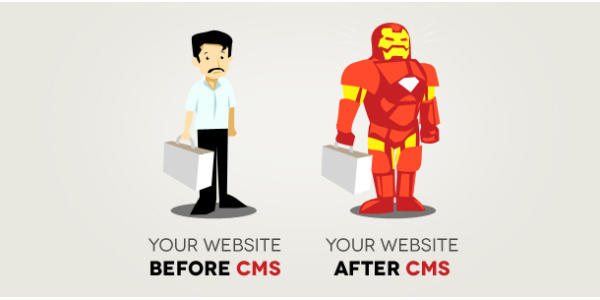 There are different types of CMS available to help you empower your website. However if you don’t have prior experience in programming, integrating these systems yourself can be difficult. It may be more cost-effective to hire an experienced team of web designers and programmers to assist you with this.